We feature feedback from students, teachers, parents and businesses who have worked with us in the past or are currently learning with ID Languages. Tell us about your experience with us and help us grow. The highlight of TY Spanish in our school for the past few years has been the Spanish Theatre workshop conducted by ID languages. It's a fun and innovative course that greatly enhances appreciation of the language and culture. Students learn new vocabulary in an engaging and motivating setting. Highly recommended! My son has been attending Arantxa’s Spanish lessons for years, he absolutely loves them! He’s just started secondary school and is looking forward to making his Junior Cert choices. Spanish is top of the list. Even though he will be well ahead in school, he still insists he wants to go to ID Languages as he loves the classes! He also stopped attending soccer once it changed times and clashed with Spanish – a testament to Arantxa’s skill at making learning fun! I have taken Spanish languages classes and done two Spanish Language Immersion trips with the company. Overall I find them an excellent company to work with. The teachers are genuinely interested in helping you progress and learn. They also use innovative techniques to teach the language and make it practical and applicable to real life scenarios - examples include role playing, games, music and acting. I went on my first immersion trip to Madrid for 10 days. I was placed with a family through ID Languages who were very friendly. My second language immersion trip was to Salamanca. This was an equally fun and fulfilling experience. We found the intensive courses very beneficial both for Junior Cycle and Senior Cycle students. The courses are laid out in such a way that even the quietest of students will find their voice! The classes are taught in a well structured and inclusive manner, whilst the activities bring out the fun aspect of the language. Our students love going on their adventure to Donegal and braving the Atlantic Ocean during their surf lessons. I would definitely recommend the ID Languages intensive courses to anyone wishing to immerse themselves in a language. My son started French lessons with ID Languages while he was in 6th class. I wanted to give him a good start for secondary school. His French teacher is absolutely fantastic, she is so enthusiastic and encouraging, he loves going to her lessons. She makes it really enjoyable and interesting to learn. He has come on in leaps and bounds since he started. ID Languages is very well run and organised, a great asset to the area. I cannot recommend it highly enough, it has proved to have been of great benefit to my son. I joined ID Languages a year ago, when I retired from teaching! I had studied Spanish for a year during collage and I was looking for a class that would help me revive and extend this. ID Languages is providing exactly what I need -vocabulary and grammar taught in an really enjoyable way, though interesting activities, topics and everyday conversation in a small group. Would wholeheartedly recommend ID Languages . My students enjoyed the dance class very much and were totally involved for the whole session. They learnt four different dances and said they would love to repeat the experience again at some stage. Thanks to Arantxa for adding a new dimension to the Spanish class. I initially thought I would like to learn a language, and I had heard some great reviews of ID Languages. After calling in and chatting to Arantxa about the layout of the courses on offer with ID Languages I quickly realised this would be such a great way to not only learn a language, but also keep it up after the program was complete. So much so that I am attending another block of classes in a program aimed at intermediate level and find the continuity from the previous course a great help in progressing to the next level. My experience taking the TEFL course through ID Languages was absolutely wonderful. I was lucky enough to work with kind and encouraging people that made the journey enjoyable. Though the experience was great it was very intensive and hard work. I spent a lot of my time and effort studying and preparing to teach lessons, but I would not change a moment of it. I learned so much and gained valuable experiences that will help me grow as a teacher and a person. I appreciate the opportunity I had to work with such wonderful people and gain new knowledge. ID Languages transcends regular tutoring. There is the professionalism of a business place and the warmth of studying in a very friendly environment. The teachers are well learned and empathetic, making a very intensive 4-week course seem like a walk in the park. I am proud to have obtained my TEFL Certificate from this school. A great course, delivered by excellent teachers in a beautiful location. I recently completed my TEFL/TESOL course at ID Languages in Bundoran and it was worth every penny. The course itself is thorough and well structured. Our course tutor Donáll, was excellent. I feel that we really benefitted from his 25 years of teaching experience. His delivery of the course content was engaging and he was very approachable. Ours was a small group which meant that we received lots of personal attention and feedback and had more teaching time. ID Languages itself is situated in a pleasant office environment with a view of the sea. Arantxa and her team were very professional, welcoming and attentive to the needs of the course participants.  Bundoran is a small coastal town surrounded by mountains, beaches and the sea. If you’re choosing where to book your course, don’t go to a busy urban environment go to ID languages in Bundoran! I am an English teacher in Tenerife and I wanted to do further training, in order to stay up to date, but without very specific objectives. However, I was lucky to have Maura as a teacher, who was a multi-talented, memorable and very interesting person. She turned out to be a source of cultural knowledge and Irish traditions. She also gave us advice on routes to do along the Wild Atlantic Way, which is a true paradise well worth a visit. It was a pleasure to have her as a teacher. Moreover, thanks to Arantxa, we were able to stay in a beautiful house near one of the beaches in Bundoran, in a dream-like landscape. What else could you ask for? Soy profesora de inglés en Tenerife y quería hacer un curso para reciclarme, pero sin unos objetivos muy claros. Sin embargo, tuve la suerte de contar con Maura, una persona polifacética, memorable e interesantísima que resultó ser una fuente de conocimiento de la cultura y tradiciones irlandesas. Además, nos dio muchas ideas de pequeñas rutas que hacer por la zona del Atlantic Way, un verdadero paraíso que merece la pena conocer. Fue una suerte contar con ella. Además, gracias a Arantxa nos alojamos en una casa estupenda cerca de una de las playas de Bundoran, con un paisaje de ensueño. ¿qué más se puede pedir? Last summer my kids, who were only 4 and 2, attended their first "English course" at "el loro school" as they call it. I have the feeling that they will never forget it. Lauren, their teacher, made a great effort to entertain them. There was a letter from the fairies every day. They played and sang and painted. They even went to the beach for a treasure hunt, with a map sent by another fairy. They simply loved it. They still talk about it, specially when they hear the nursery rhyme "Ring a ring o' roses". They keep asking when we are going back. It was a great experience for them and it was much more than we could have ever expected. Thanks a million Arantxa and Lauren. I signed up for the TEFL course hoping to come out with a TEFL/TESOL certificate, but I left with vastly more. The structure of the course, materials and facilities offered by ID Languages were outstanding. Not only was the course both fun and challenging: the continuous direct feedback from Donall brought my confidence in becoming a teacher to the next level. I can't speak highly enough of this course.